We invite you to speak with us today about your next software project. Are you a Thomson Reuters Enterprise Platform customer in need of a custom solution to deliver data into your business? If you answered ‘yes’ then you need to be speaking with us. We have spent considerable time developing the Coherent Datafeed: Thomson Reuters Edition for Java so that you don’t have to go through this effort yourself. offers the following services: authentication, directory, dictionary, market price, TS1 database definitions, time series, market by order, etc. is an interactive system which follows a static microkernel architecture which is facilitated by the Spring Framework. Messages received from RFA are processed through a series of Spring Integration work flows which convert these messages into domain objects that are then routed to configurable endpoints. includes well-defined data models that have Java Persistence API annotations available out-of-the-box. can export data to any number of destinations (ie. JMS-compliant message queues, NoSQL datastores, relational datastores, etc). can export data in differnt formats (ie. XML, JSON, etc). 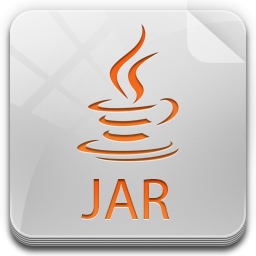 can be deployed to any enterprise application server which is written in the Java programming language. Relies on the Infinispan Cache to cache information internally. can be built as a single Jar file, including all dependencies, thereby making it easy to share. is written using Java 7, uses Maven to manage the build process, is well documented, and at the time of this writing has over 350 unit and integration tests (both written using JUnit). uses the SLF4J and Java Logging Framework to log messages to configurable appenders. The following examples are written in Groovy and demonstrate how the framework can be used to request market price updates and to retrieve time series data from Thomson Reuters. If you have questions about this product or need more information, feel free to send us an email.